So said local government minister Rishi Sunak in July at the launch of the Local Digital Declaration, the initiative uniting the government and local authorities to encourage better design and technology use in providing and transforming services. But can better – even transformative – outcomes be achieved through radical technological change? And against a bleak, financially tight backdrop can local government fix its dependence on inflexible, expensive, segregated technology that can’t transform things? Is technology the answer, the problem, or a bit of both? 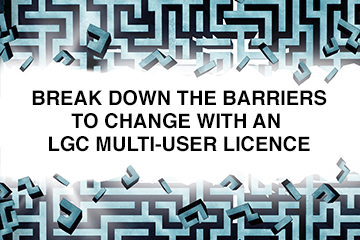 It was with these questions in mind that LGC, in association with cloud and digital transformation specialist Agilisys, brought together an expert panel to discuss whether the best outcomes for citizens can be achieved through radical technological change. LGC editor Nick Golding started by suggesting that, while many in local government remain deeply worried about the future, “there is hope, and lots of that hope is in technology”. Mr Golding asked panellists to outline what they were doing and some of the problems they faced. The council has already seen significant change in automation of housing benefit processing. “It ordinarily takes us about 240-person days twice a year. We programmed a robot – a laptop essentially – to do that work this year. It did it in 19 days, and it didn’t make an error. That sort of change you can’t ignore. “The other bit is the application of the internet of things in the care field. There is loads going on all around the country, but none at scale. Air quality checking and monitoring technology within social care and to enable elderly residents to remain in their homes were areas of focus for Kingston upon Thames RBC and Sutton LBC, said Lisa Beckett, website and business development manager for both councils. “Like most places, we’ve got more pilots than Heathrow Airport in social care,” said Jason Kitcat, executive director of corporate development at Essex CC. “But a lot of the cool techie things only work if we can get them to people before they’ve become clients of council social care. Vanessa Lucas, senior policy officer at the Society of Local Authority Chief Executives & Senior Managers, said: “The problem for us is the range of different levels of technological advancements. We’re trying to provide the leadership and policy help to rural counties that might be very far behind and just starting channel shifting, for example. “We’re a bit earlier on the journey,” said Leigh Whitehouse, director of finance and corporate services at Bexley LBC. “We’ve got a revs and bens [revenues and benefits] contract that has been outsourced for about 25 years, seven in its latest iteration. We’ve got an outsourced IT service, which is coming towards the end of its life as well. Sean Grimes, managing director, cloud and IT services at Agilisys, said: “I’m really interested in the scale question. We see lots and lots of pilots going on, some of them with great results, but then they maybe lack the ambition. The language of digital transformation – ‘agile’ or even just ‘digital’ – sometimes got in the way, said Ms Beckett. “We all say we’re agile and we’re open to that methodology but, actually, I don’t think we’re authentically living that. “We’re still writing very detailed business plans and specifications and we’ve still got all of our documentation and our boards we have to report into. But we also have all the structures around agile and all that language, so we’re having ‘stand-ups’ and ‘scrum-masters’ and all of that. The debate trawled topics like skills and competencies, the dearth of younger ‘digital natives’ within authorities, the benefit of having more common platforms and standards, challenges around procurement, and the need for proactive leadership. Nevertheless, did panellists feel better outcomes could be achieved through radical technological change? “I think it is really hard to evidence. I’d be very cautious of making big claims and promises and – present company excepted – we have been oversold to quite a bit by some suppliers in the market, which has created a trust issue for the technology profession,” said Mr Kitcat. “Yes, it is cultural and it is about people relationships,” said Mr Grice. “But I think there is stuff we can start, most definitely. ’Digital’ as a word is a barrier – we’re ‘doing’ digital to you or you’re doing it to us. But what is the actual deliverable? As the discussion wound down, Mr Golding asked panellists for their final thoughts, and what they felt was likely to happen over the next five years. “I think a lot of it comes down to brave leadership over the next few years: political, officer and at every level,” said Mr Grice. “A lot of it is moving us on, seizing the opportunity. I think everyone recognises we can’t carry on as we are. Noting the political climate, Mr Grimes warned of “the impact of Brexit on decision-making, and the distraction of this”. Mr Kitcat said: “As far as we can tell, Brexit or not, we are really up against the wall financially. Even if that wasn’t the case from a central government perspective, the demand and demographic issues mean that continuing to use a Victorian era model of organisations just is not sustainable. “Perhaps something radical and revolutionary will need to happen in how we operate from the skills point of view, from the structural point of view, and I can only envisage that being technologically supported and enabled. Ms Beckett called for councils to be “braver and [to create] more shared services, whether that’s across authorities or with the private sector”, adding that it was necessary for local authorities to build “meaningful relationships with suppliers that really work, which both the suppliers and local authorities really get something out of”. The final word was left to Mr Gough. “For me, it’s about going back to what we discussed at the beginning. Can the best citizen outcomes be achieved through radical technological change? I think the consensus is definitely. I think some very practical ways it could happen have been outlined today. He also put forward “the idea of central standards” or at least “everyone agreeing that they will ask for some of the same things”. “Maybe what we’re looking at is a lot of little revolutions sounding evolutionary rather than one big revolution,” he said. This roundtable discussion was sponsored by Agilisys. The topic was agreed by LGC and Agilisys. The report was commissioned and edited by LGC. See LGCplus.com/Guidelines for more information. The world is changing—and local government must change with it. Organisation models thought up last century are no longer sustainable amid the financial, workforce and demographic realities facing the public sector today. Radical technological change offers hope. It’s no secret that digital innovation can transform citizen outcomes for the better, while substantially reducing costs. That’s why we’re now seeing a flurry of pilot programmes exploring the potential of new technologies. Many local government pilots hint at huge promise: from helping people to continue living life independently by integrating internet of things (IoT) services into adult social care systems, to accelerating back office work through robotic process automation. However, these programmes are also isolated. Each represents a unique island of innovation – making them costly and time-consuming to set up, harder to scale, lacking in interoperability and limited in their value for staff and citizens. At a time when local government is struggling to close the digital skills gap, it’s also harder to assess the success of these pilot programmes. Without the ability to show a project’s outcomes and benefits clearly, is it any wonder local government is sometimes reluctant to risk investing in large-scale change? The Local Digital Declaration points to a new way forward. Every local authority shouldn’t need to draw its own transformation map: most are on the same journey and need many of the same things. As the declaration says, “by developing common building blocks local authorities will be able to build services more quickly, flexibly and effectively”. By agreeing standards and best practice centrally, organisations can follow proven paths to success, make savings through collective buying, simplify procurement and enjoy greater access to digital skills. Standards also allow more shared services, whether across authorities or with the private sector, allowing innovation to scale. The key here isn’t one big revolution, but steady evolution built around a shared vision. Instead of pilots that reinvent the wheel each time, local government should invest in incremental change. The individual steps may be smaller, but they can have a huge impact over time, especially when rolled out across the country. Now is the time for open discussion and new partnerships to make this a reality. Many in the private sector can already share tried and tested transformation methodologies that reliably deliver better citizen outcomes, and they’re ready to help. After all, abandoning islands of innovation starts with building bridges.